This article was originally published in Practical Law Arbitration. Reproduced with permission. 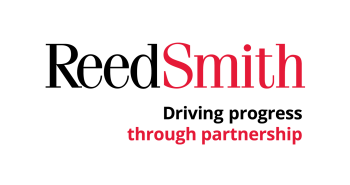 Reed Smith LLP is licensed to operate as a foreign law practice in Singapore under the name and style, Reed Smith Pte Ltd (hereafter collectively, "Reed Smith"). Where advice on Singapore law is required, we will refer the matter to and work with Reed Smith's Formal Law Alliance partner in Singapore, Resource Law LLC, where necessary. In Marty Ltd v Hualon Corporation (Malaysia) Sdn Bhd (receiver and manager appointed)  SGCA 63, the Singapore Court of Appeal considered whether commencing court proceedings amounted to a repudiatory breach of an arbitration agreement, and therefore precluded the party commencing such proceedings from referring disputes to arbitration if the repudiation was accepted. The Singapore Court of Appeal has allowed an appeal from the Singapore High Court's decision in BMO v BMP  SGHC 127. The Singapore Court of Appeal found that the respondent was in repudiatory breach of an arbitration agreement by commencing court proceedings, and that this repudiatory breach had been accepted by the appellant. Therefore, the tribunal in the parallel arbitration had no jurisdiction over the dispute. The Singapore Court of Appeal stated, obiter, that it was not inclined to accept the English law position that repudiatory intent is necessary for a party to be in repudiatory breach of an arbitration agreement. This decision is important because the Singapore Court of Appeal's view that commencement of court proceedings may amount to a prima facie repudiation of an arbitration agreement will be of persuasive authority in future cases. Various English authorities such as Rederi Kommanditselskaabet Merc-Scandia IV v Couniniotis SA  2 Lloyd's Rep 183 (The Mercanaut) have held that commencing court proceedings may amount to a repudiation of the arbitration agreement if done in circumstances which show that the party in question no longer intends to be bound by the arbitration agreement. In other words, commencement of court proceedings is not, in itself, an unequivocal demonstration of a party's intention not to be bound by an arbitration agreement. Other evidence is needed to determine whether there is repudiatory intent. Hualon Corporation (Malaysia) Sdn Bhd (receiver and manager appointed) (Hualon) is a Malaysian company which was substantially owned by two brothers (Oung brothers), who were also its directors until it entered into receivership in November 2006. Marty Ltd (Marty) is a British Virgin Islands (BVI) company which is wholly owned by the Oung brothers. In 1993, Hualon incorporated a wholly-owned subsidiary in Vietnam (Vietnam subsidiary). One of the Oung brothers, M, was the chairman of the Vietnam subsidiary. The company charter for the Vietnam subsidiary was revised and updated in February 2008, after Hualon had entered into receivership, and this revised charter was signed by M on behalf of Hualon. The revised charter contained an arbitration clause which referred disputes between members of the company to the Singapore International Arbitration Centre (SIAC). Following a series of share transfers between 1999 and 2008 which were allegedly procured by the Oung brothers, Hualon's shareholding in the Vietnam subsidiary was reduced to 0.19% by August 2008, with 99.7% of the shares held by Marty. In July 2014, Hualon commenced proceedings before the BVI court against, among others, Marty, alleging, that it had been wrongfully deprived of its shareholding in the Vietnam subsidiary, and that the revised charter and the share transfers were invalid (BVI Action). The defendants in the BVI Action challenged the jurisdiction of the BVI court on the ground of forum non conveniens, but the jurisdiction challenge was dismissed in February 2015. On 10 March 2015, Hualon commenced SIAC arbitration by filing a notice of arbitration which contained similar allegations as in the BVI Action. On 13 March 2015, Hualon wrote to Marty, stating that although it challenged the validity of the revised charter, it accepted the existence and validity of the arbitration clause in the revised charter and would be seeking to rely on it. Hualon also proposed that the BVI Action be stayed pending the outcome of the SIAC arbitration. On 26 March 2015, Marty applied for summary judgment from the BVI court. On 20 April 2015, Hualon applied to stay the BVI Action in favour of the SIAC arbitration. Judgment was reserved on Hualon's application. The SIAC arbitration continued in parallel with the BVI Action for around a year, before the BVI Action was struck out on 22 March 2016. Following a jurisdictional challenge by Marty, the arbitral tribunal held that it had jurisdiction. Marty appealed to the Singapore High Court which held, among other things, that although Hualon had breached the arbitration agreement by commencing court proceedings, this was not in itself a repudiatory breach, as repudiatory intent could not be shown. Further, a party commencing court proceedings in breach of an arbitration agreement could never waive its right to arbitrate, since only the innocent party could waive its rights by election. Accordingly, the Singapore High Court dismissed Marty's challenge of the arbitral tribunal's finding of jurisdiction (see BMO v BMP  SGHC 127, referred to in Legal update, Singapore High Court finds litigation commenced in breach of arbitration agreement did not render arbitration agreement inoperative). Marty appealed the Singapore High Court's decision to the Singapore Court of Appeal. The Singapore Court of Appeal allowed Marty's appeal and held that the arbitral tribunal had no jurisdiction in respect of the disputes between Marty and Hualon. Hualon had committed a repudiatory breach of the arbitration agreement by commencing the BVI Action and this repudiation had been accepted by Marty, therefore bringing the arbitration agreement to an end. Marty's counsel conceded that the commencement of the BVI Action alone was insufficient to amount to repudiation. Notwithstanding these concessions, the Singapore Court of Appeal stated, obiter, that it was not inclined to adopt the English approach in The Mercanaut. In its view, it is strongly arguable that the commencement of court proceedings by a party who is subject to an arbitration agreement is a prima facie repudiation of the arbitration agreement, which could be buttressed or rebutted depending on the other facts available. Given the concessions made, the Singapore Court of Appeal proceeded to consider the case following the approach adopted by the Singapore High Court. It held that where a party disavows a contract containing an arbitration clause, it can be inferred that this party also intends to disavow the arbitration agreement (see Downing v Al Tameer Establishment and another  EWCA Civ 721). On the facts, Hualon evinced repudiatory intent in respect of the arbitration agreement when it commenced the BVI Action and contended that the revised charter, which contained the arbitration clause, was invalid. Hualon's alleged lack of actual knowledge of the arbitration clause when it commenced the BVI Action was irrelevant since the determination of whether an agreement has been repudiated is an objective rather than subjective enquiry. Further, since Hualon's director signed the revised charter on its behalf and was therefore deemed to have actual knowledge of its contents, including the arbitration clause, his knowledge could be imputed to Hualon. The Singapore Court of Appeal held that Marty's application for summary judgment of the BVI Action constituted an acceptance of Hualon's repudiation of the arbitration agreement. Marty's jurisdictional challenge to the BVI court did not, however, suffice as jurisdictional challenges are, in general, too equivocal to constitute acceptance of a repudiation. More is needed, such as accepting the court's jurisdiction and engaging it on the merits. Further, it was irrelevant that Marty's application for summary judgment in the BVI Action was made after commencement of the SIAC arbitration. Marty was entitled to accept Hualon's repudiation of the arbitration agreement until Hualon cured its breach, by discontinuing the BVI Action or at least by filing a stay application. The Singapore Court of Appeal held that waiver by election can operate as long as a state of affairs arises in which a party becomes entitled to exercise a right, whether because the terms of a contract give it that right, or the right arises by operation of the general law. Such right need not always be exercisable upon breach. The waiver analysis may not be applicable where a party has breached an arbitration agreement by commencing court proceedings, since one has to look to the agreement itself to discern the effect of the breach. This is however a thorny issue which will need to be considered properly in due course. The Singapore Court of Appeal's obiter view that the commencement of court proceedings is strongly arguable to amount to a prima facie repudiation of an arbitration agreement will be of strong persuasive authority in future cases. While this approach is unlikely to result in vastly different outcomes from the cases adopting the English courts' approach as set out in The Mercanaut, this development is interesting as it shifts the burden of proof to the party commencing court proceedings, who would of course, be well placed to displace the prima facie assumption by proving its lack of intent to abandon the arbitration agreement. Parties who choose to commence court proceedings notwithstanding an arbitration agreement, for example, to seek interim relief, would be well advised to act cautiously and ensure that they clearly and unequivocally communicate their intention to uphold the arbitration agreement.